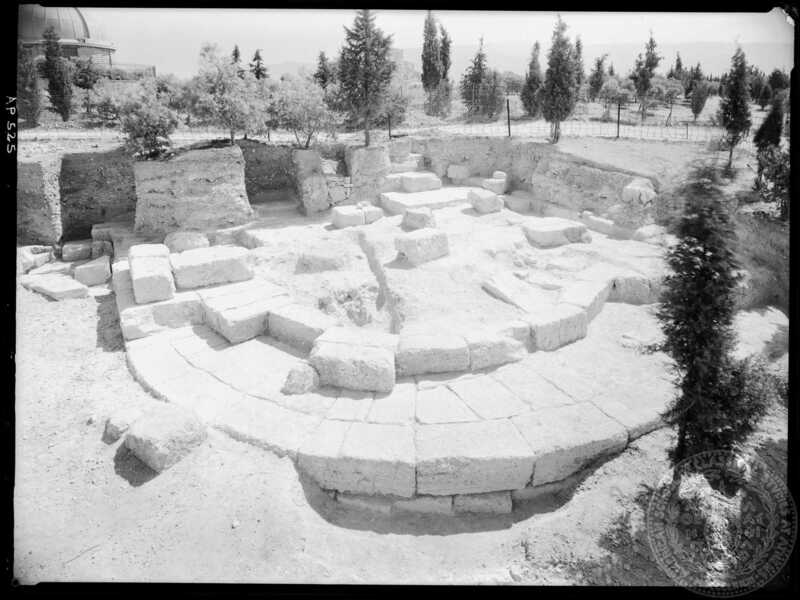 In the years 1932–1937, the American School of Classical Studies undertakes excavations in collaboration with the Archaeological Service. During the period 1936–1937, the whole, 850-meters-long Compartment Wall is restored at least on 70 excavation trenches. Thompson 1936, 151–200; Thompson and Scranton 1943, 269–383. Semi-circular tower from the early 2nd century B.C. that reinforced the Compartment Wall on the Hill of the Pnyx. It was brought into light in 1943, after the excavation undertaken by the American School of Classical Studies.